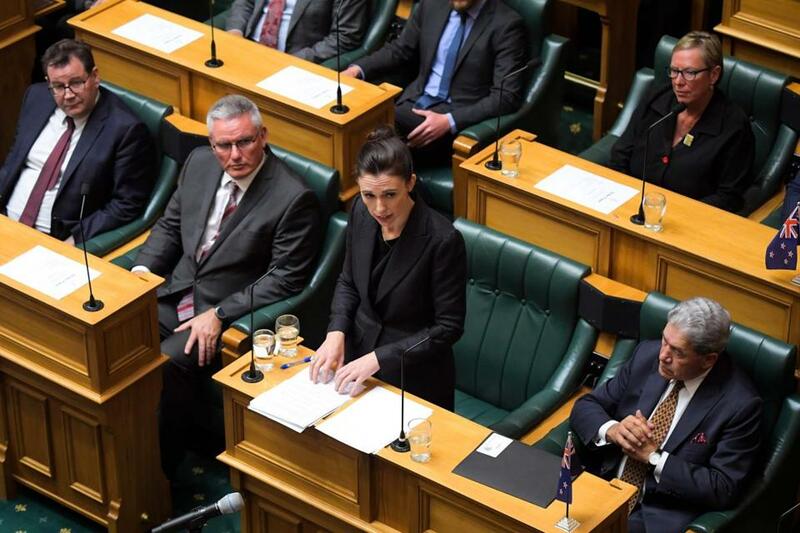 New Zealand Prime Minister Jacinda Ardern vowed never to utter the name of the twin-mosque gunman as she opened a sombre session of parliament with an evocative "as salaam alaikum" message of peace to Muslims. CHRISTCHURCH, New Zealand — The man accused of carrying out the attack that killed 50 people at two mosques in Christchurch is expected to represent himself in court, but the country’s prime minister said Tuesday that she wants to do everything possible to deny him the attention he craves. Her comments — which included a demand for Internet platforms such as Facebook to do a better job controlling hateful content — reflect a global struggle that has caught this small, open and friendly country by surprise: how to avoid fueling fame for a man accused of killing and his message even as officials and the news media try to better understand the forces that led to his apparent radicalization. The push to deny oxygen for what feels like a perpetual flame of hate has been gathering momentum ever since the attack, and it reaches beyond the government. On Tuesday, New Zealand’s largest broadband providers published an open letter to the chief executives of Facebook, Twitter, and Google, calling on them “to be a part of an urgent discussion at an industry and New Zealand government level” about how to deny access to content created by the suspect, Brenton Harrison Tarrant, 28. The companies — Vodafone NZ, Spark, and 2degrees — acknowledged suspending access to websites that were hosting video footage of the Friday attacks that had been streamed live online. But they said there was only so much they could do without more engagement from the tech platforms.